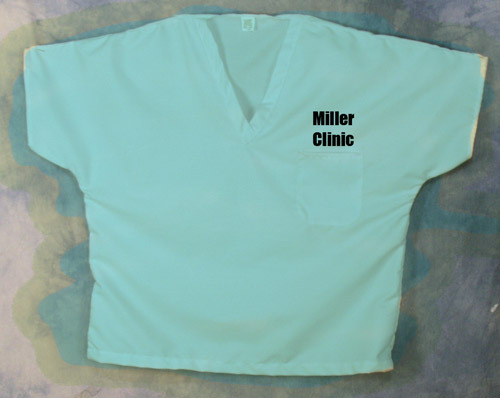 When outfitting your medical staff, choose apparel that’s both functional and stylish. This scrub top is made out of poplin material. The product features a V-neck placket, 1 left chest pocket, hemmed bottom and sleeves. For your convenience the item comes in a variety of colors and sizes for you to choose from. Make the top complete with a personal design or company logo prominently featured. Standard Imprint Area: 3-1/2" x 3-1/2".